While generating a Bayesian network, either by expert knowledge modeling or through machine learning, is all about a computer acquiring knowledge, a Bayesian network can also be a remarkably powerful tool for humans to extract or “harvest” knowledge. Given that a Bayesian network can serve as a high-dimensional representation of a real-world domain, BayesiaLab allows us to interactively—even playfully—engage with this domain to learn about it. 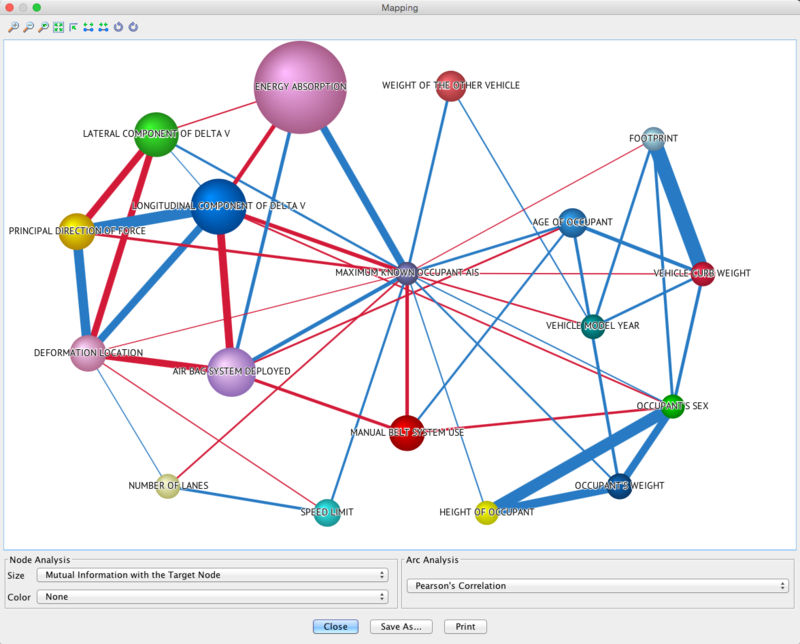 Through visualization, simulation, and analysis functions, plus the graphical nature of the network model itself, BayesiaLab becomes an instructional device that can effectively retrieve and communicate the knowledge contained within the Bayesian network. As such, BayesiaLab becomes a bridge between artificial intelligence and human intelligence.